From May 20 to 23, 2017, Secretary General Jiangmanxia and Sunjing visited a number of Fujian health products enterprises to learn about the development of the health products industry in Fujian Province and the achievements of innovation, development and upgrading of enterprises in competition. 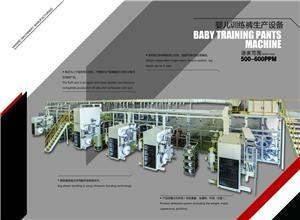 HUANGZHOU HENWAI MACHINERY CO. LTD.. In recent two years, Wenzhou Hanwei Machinery Manufacturing Co., Ltd. has successfully realized the enterprise upgrade, from the brand image, the equipment level and the service customer group have all reached a new step. This is due to the company's long attention to research and development and sustained investment, as well as the company's dedication to the courage to break away from the main energy into high-end equipment customized research and development. With Lin Bingzheng General Manager, Xiao Hongwei Deputy General Manager, Yu Fengyuhou General Manager, Yu Zhanbo General Manager, Yu Zhangbo Deputy General Manager, Nguyen Sword Production Director, etc.. In order to get rid of the homogeneity competition and achieve sustainable development, hanwei resolutely abandoned the middle and low end market, higher end route, and realized enterprise upgrading. "It was a painful decision," Lin said. "The ideal situation is to make two levels of equipment at once. Hanwei took the decision at great risk because low-and medium-end demand still exists, and Hanwei's voluntary exit is tantamount to ceding its market share to competitors, which would be disastrous if it failed to upgrade. Lin has witnessed a year in a street 13 sanitary towel equipment factory closed 11 bitter lessons, deeply aware that enterprises must not fall into the same quality competition mire, upgrade is the only way out. After several years of hard work, Hanwei has established the main high-end customer group, basically is the top 10 enterprises in the industry. Hanwei no longer makes regular batches. Customized R&D to meet customer needs. 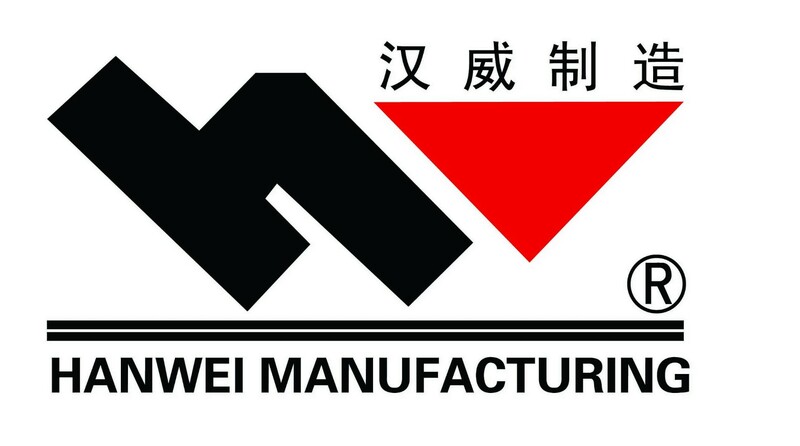 Hanwei attaches great importance to research and development. It has invested 20 million yuan in research and development every year. The company has established a 1000m2 research and development design center with more than 60 design and development engineers, including 10 mechanical structure process engineers and 6 product development and testing engineers. After the upgrading of enterprises, Han Wei has achieved remarkable achievements in technology research and development, and has obtained more than 350 patents, including more than 30 patents for inventions, the rest mainly for utility models, as well as patent for appearance and copyright. More than 150 patents are currently being filed, averaging 30 to 40 per month. The company installed 10 test machines in the experimental workshop and continuously tested the products to verify whether the research and development can be realized smoothly on the production line. Research and development is not done behind closed doors, hanwei cooperation with customers to carry out one-to-one research and development, to meet customer customization, high end, product differentiation needs. Many proprietary technologies are developed with customers, the company strictly guarantees the exclusivity of the patents, and the cooperation with A customers to develop the patented technology will not be used to B customers 'equipment, completely dispelling the concerns of customers. At present, Hanwei has forged strategic partnerships with such well-known enterprises as Euneijia, Heng 'an, Yin, Kang Cheng, Silk, Shubiqi, Reliability, Hanson, Han's, Bure, and Gardon. Lin believes that many domestic production enterprises have limitations in R & D: first, although they have invested in R & D, they rarely consider whether the result can be realized by the production line, some of which are very good, but they will encounter some obstacles if they get the automatic production line. Second, product development should be equipment factory, materials factory United together, but the majority of domestic manufacturers lack this awareness, of course, may be due to the awareness of prevention. At present, the research and development ideas of enterprises are mostly based on the original products to improve, so domestic subversive products are few, most of them improved. "We work with clients where the patent is owned by the customer, and we will remain exclusive on the device," he said. If a patented technology is applied to several applications at once, it is likely to form another level of homogenous competition. Each enterprise should have its own unique features, such as the characteristics of the flower King is soft, whether sanitary napkins or diapers, the surface is very soft, they from the selection of materials, structural design and so on are all around this feature, but few domestic enterprises can do this. 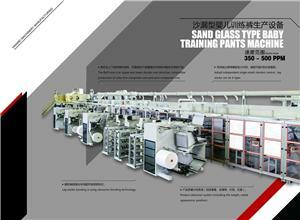 Want to concentrate all the advantages on a product, to the consumer there is no obvious characteristics. "I don't know. China's equipment manufacturers have not yet formed a complete system of product development, never come to market demand, this is important. The penetration rate is already high in developed markets, with fewer purchases of equipment, and future purchases are concentrated in developing or less developed regions where customers have limited R&D capabilities and where equipment plants should lead them in innovation. Lin said: "Like the Chinese market, if the production enterprises are homogeneous competition, inevitably form a price war, which is very detrimental to the development of the industry. We hope to do something to help our customers get out of the homogeneity competition and survive the industry shuffle. So we should increase the investment in research and development, there are enough results to cooperate with more customers. For equipment plants, the most important future is not quantity, but with more customers to achieve strategic partnerships. "I don't know. Referring to the future trend, Lin thinks the development direction of the whole equipment is stability, high-speed, modular, intelligent, refined and beautiful. In the future, there may be more customised devices in the market, more flexibility and compatibility of the production line will be needed, and the start-up of the equipment will be simplified to minimize the impact of human factors on the equipment. Now the training of a skilled boot worker a long cycle, 18 different martial arts to understand, two years are not necessarily enough. But small cars are easy to drive with a simple familiarity, and sanitation equipment should work in this direction, developing "silly machines" that reduce the training time of operators to a month or even 15 days. Hanway is developing the "silly machine", which is expected to be launched in 2018. 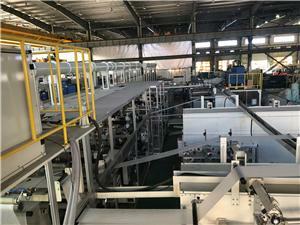 Mr. Lin said: "Customers do need a new type of silly machine, no longer rely on the operator, the quality control standards of new equipment will be greatly improved, the product quality level, production efficiency will be improved, a combination of costs to buy silly machine will be more cost-effective, I am sure this is what customers need. "I don't know. In order to meet the needs of customers, Hanwei also developed a butler system, which can record all the data, events, failures and alarm data detected by sensors during the boot up process, organize and form a report, and provide data analysis to customers. Through the network hanwei can also remotely monitor the operation of the machine, for customers to put forward a problem warning, early processing, can greatly improve the opening rate. Hanwei's management team and research and development team are very young, Lin always encourage them to play their respective strengths, ultimately form the core competitiveness of the team. Lin asked the entire production and development management team to be focused on the needs of customers, from the perspective of the end users to consider their needs, customers every custom devices have some new selling points. "As an enterprise, there should be an idealized goal, and then some practical short-term goals based on capabilities and realities," he said. Our philosophy is to make progress every day, even a little bit, step by step towards the goal, we will have a sense of accomplishment. I sincerely hope the industry can develop healthily in the long term. ".